Join us at NOON on Facebook to find out if you have won FREE classes and retreats for a year! It’s our 9th Anniversary! Stop in between January 1 – January 15 and pick a treat! Unwrap the outer wrapper and see what you’ve won! 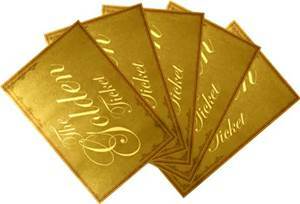 If you find a GOLDEN TICKET you are entered to win FREE classes and retreats for a YEAR!